Today I shopped my collection and came across one of the chromes from the limited edition Revlon Spiderman collection. The icy blue seemed perfect for the snowy weather outside. 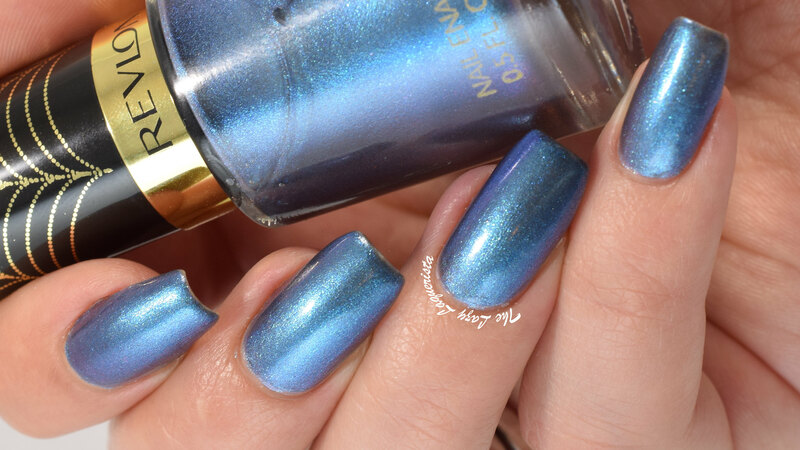 I'm Electro features a duochrome finish that is predominantly blue with a subtle purple shift. 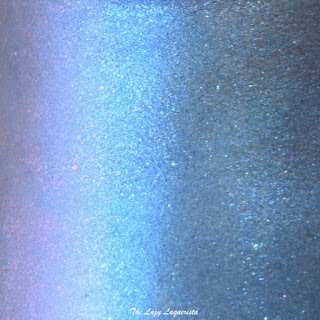 The formula was easy to work with though a bit sheer for a chrome finish polish. It took three coats to become opaque. The polish dried smooth and shiny but I added a top coat for longevity. I'm on my fourth day of wear without any chips. 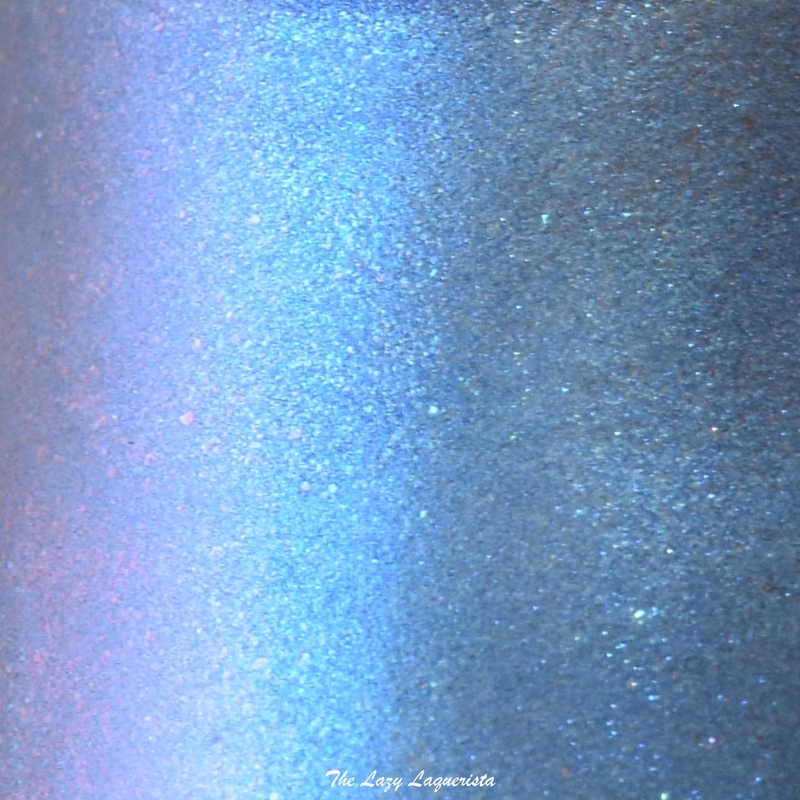 Photos show three coats of I'm Electro with one coat of Girly Bits Glitter Glaze in daylight spectrum lighting. I happily bought this and a couple others from the collection, then never wore them. I managed to drop one of them just so, and cracked the bottom layer off the bottle, but thankfully the polish is still intact! I need to bust these out! Shame on me for leaving them languishing in untrieds, so pretty on your nails in these pix!! This collection was probably one of the best executions of mainstream duochromes I wish they'd bring the finish into their regular line more. I'm not sure we had these here, I should have noticed such a beauty otherwise! They got snatched up pretty quickly in Canada when they came out. I definitely had to go hunting for a couple of the shades.